The jail sentences were ordered to be served consecutively, meaning that the man will have to finish serving time on each individual case before he can receive credit for time served in the others. The judge could have imposed the three-year sentence to run concurrently, but then the defendant would not have to serve any additional time. After completing the eight years, which includes four with the Department of Corrections, the man will have one year of probation with an extra year hanging over his head in case of a violation. The State’s Attorney for Wicomico County was pleased with the sentences, and was quoted as saying that he hoped the lengthy jail time would sent a message that the county does not tolerate drunk driving. While the eight-year stint should hit home with the public, the real message may be received by state lawmakers in Annapolis. The current maximum sentence for a subsequent DUI is three years, with a relatively short ten-day mandatory minimum, regardless of how many prior convictions the defendant may have. The defendant in this case now has six Maryland convictions and two out of state convictions, but still would only face three years if he were to be charged for a ninth time. In addition, irrespective of how many prior convictions a defendant may have, a subsequent DUI is always a misdemeanor and not a felony charge. 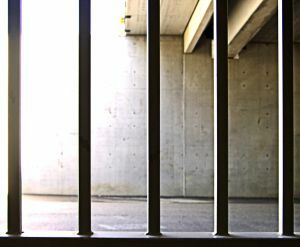 Many states have stricter laws, such as Florida where a third or subsequent DUI will result in felony charges, lengthier prison sentences, and larger mandatory minimums. The 2013 legislative session is currently underway, and there are no signs coming out of our state capital that the drunk driving laws are heading for a change, but it would be no surprise if a change to harsher sanctions for repeat offenders does occur in the coming years. 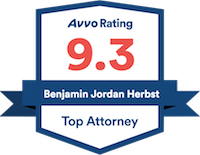 Benjamin Herbst is a criminal defense lawyer specializing in DUI and drug offenses. Contact Mr. Herbst anytime for a free consultation about your case.